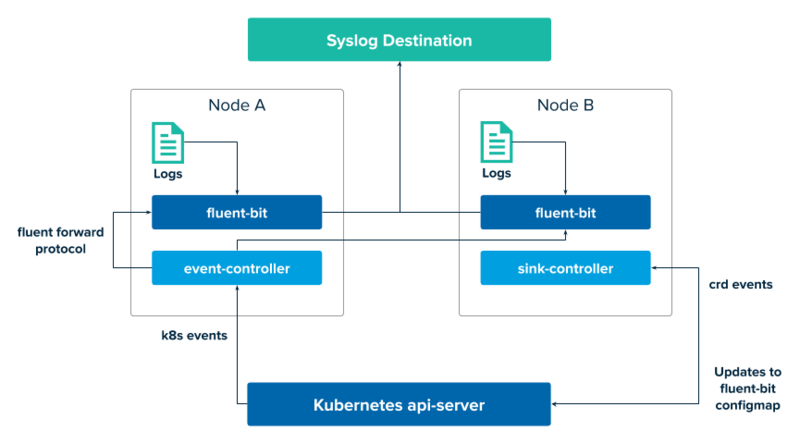 This topic describes how sinks are implemented in Pivotal Container Service (PKS) deployments. The following diagram details sink architecture in PKS. Logs are monitored by a set of fluent-bit daemons, which run as a pod on each node. When sinks are added or removed, all the fluent-bit pods are refreshed with new sink information. Another pod collects Kubernetes API events and sends them to a fluent-bit pod.